The death of North Korea’s “Dear Leader,” Kim Jong Il, marks the end of his 17 years of strict control over the starved and crumbling state. While his eccentricities were often worthy of parody—the overblown legend involving new stars and double rainbows pronouncing his birth, thousands of books penned, and one strikingly good round of golf—his reign was marked more distinctly by the extreme suffering of the North Korean people. The totalitarian dictatorship that is now expected to pass to his youngest son, Kim Jong-un, tortures its own people, has sponsored acts of terrorism, and maintains the fourth largest army in the world even as its people regularly face starvation. 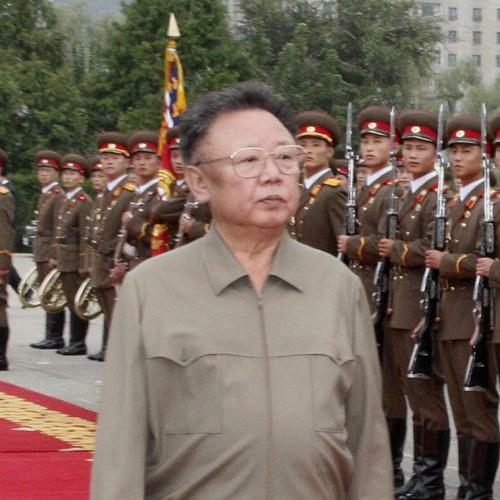 Here, TNR lists some of the worst crimes of Kim Jong Il. 1. Kidnapping. Before coming to power, a young Kim Jong Il had dreams of being a film producer, going so far as to write a 300-page book, On the Subject of Cinema, in which he claimed, “The task set before the cinema today is one of contributing to people’s development into true communists. … This historic task requires, above all, a revolutionary transformation of the practice of directing.” In 1978, while being groomed to inherit the state from his father, he decided to combine these paths, and orchestrated the kidnapping of the director Shin Sang-ok and his wife, actress Choi Eun-hee, a power couple of the South Korean film industry. The two were imprisoned for four years, then pulled from captivity and charged by Kim with breathing new life into the stagnant Northern cinema, giving form to his vision. They made six movies before managing to escape, after being sent to a European film festival. 2. Bombings. Also before rising to power, Kim Jong Il is suspected of organizing two major terrorist attacks against South Korea. The first is the 1983 bombing in Rangoon that was meant to kill the South Korean President, Chun Doo Hwan. Hwan was running late, thereby avoiding the attack, but several members of his cabinet were killed. Four years later, North Korean agents planted bombs on Korean Air flight 858, killing 115 people, to dissuade attendance to the 1988 Seoul Olympic Games. 3. Gulag. Imagine being sent to jail because your father was in jail. And that he was in jail because his father was. And he was in jail because… well, no good reason. That dystopia is reality in North Korea. In true Stalinist form, Kim Jong Il turned parts of the state into a giant gulag, where generations of families arbitrarily deemed enemies of the state are doomed to forced labor, starvation, and death. 4. Murder? Kim Jong Il’s murderous career may have gotten off to an early start with a particularly heinous crime: fratricide. While never proved, rumors abound that the dictator was responsible for his younger brother’s drowning death. Kim Jong Il was five years old at the time. 5. Famine. Experts disagree on the exact number, with credible estimates ranging between 600,000 and 3 million dead. What no one disputes is the fact that between 1995 and 2000, North Korea’s population suffered one of the deadliest famines ever. In 1995-96, historic flooding devastated the country’s crops and wiped out its grain reserves. But the regime’s misplaced priorities turned a natural disaster into a human tragedy of epic proportions: While Kim Jong-Il was building up the world’s 4th largest standing army and buying the world’s largest supply of Hennessy cognac, the nation starved. 6. Human Rights Violations. They live in enclosed pens. They feed on grass and plants. And according to a report by the Committee for Human Rights in North Korea, an American NGO, they envy farm animals—who at least enjoy regular meals. They are North Korean refugees who fled to China, only to be captured and returned home. The unfortunates are confined to detention centers where they face hard labor, starvation, and torture. According to HRNK allegations, a particularly grisly fate awaits recaptured pregnant women: After a medically induced labor, the babies are suffocated, or simply left outside to die. “When the box was full of babies … it was taken outside and buried,” said one refugee who managed to escape. 7. Torpedo attack. It would have been a casus belli, if the two nations weren’t already at war. On March 26, 2010, the South Korean Naval vessel Cheonan sank in the Yellow Sea, killing 46 sailors on board. A team of international experts, led by South Korea, concluded that a torpedo launched by a North Korean submarine was to blame. The UN Security Council adopted a resolution strongly condemning the North’s aggression. Matt O’Brien, Thomas Stackpole, and Jarad Vary are interns at The New Republic.